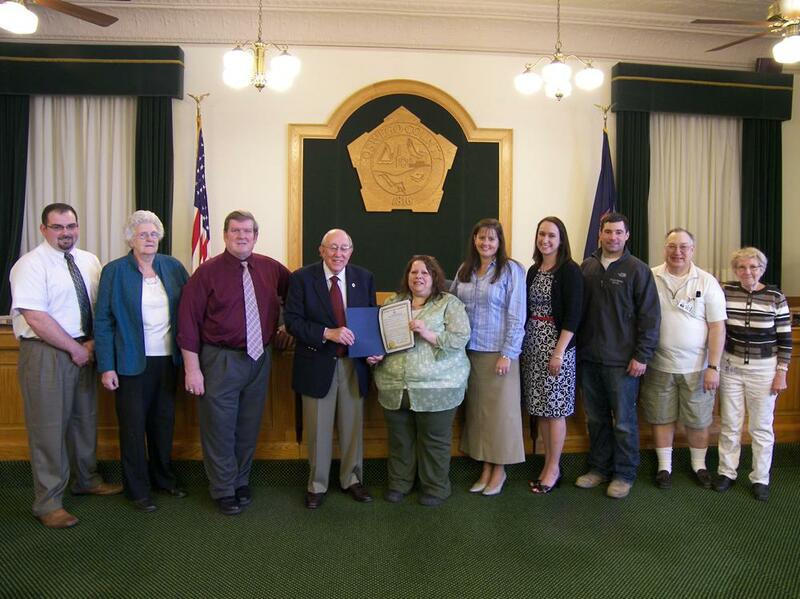 The Oswego County Health and Human Services Committee recently presented a proclamation designating May as Mental Health Month. This recognition highlights the importance of mental health to the well-being and vitality of families. Each year, approximately one in four Americans are struck with mental illness regardless of age, gender, race, ethnicity, religion or economic status. The Oswego County Mental Hygiene Division works with its community mental health partners to provide care and services to residents. They include the Mental Health Association, Families with Attention Deficit and other Emotional Disorders, Inc., Oswego Hospital Behavioral Services Division, Oswego County Opportunities, Catholic Charities, Hillside Children’s Center, ARISE, Inc., the Brownell Center, and Oswego Industries. Pictured from left are Terry Wilbur, District 21; Barbara Brown, District 8; James Karasek, District 22; Committee Chairman John Proud, District 7; Peggy Buyler-Salem, F.A.D.D. ; Nicole Kolmsee, Oswego County Division of Mental Hygiene; Katie Backus, Oswego County Division of Mental Hygiene; Jacob Mulcahey, District 15; Ronald Sakonyi, District 5; and Margaret Kastler, District 1.